Home Parker Community Technologies Electromechanical Group Electromechanical Knowledge Base How do I show hidden and protected files in Windows? A Compact Flash (CF) card reader, purchasable from many online retailers. A Windows PC. Any version of Windows can be used to upload and back up the files, but a Windows XP PC (or virtual machine) will be required to actually perform the upgrade procedure. A common mistake many users make when uploading files from the CF card is to not upload the hidden and protected files. 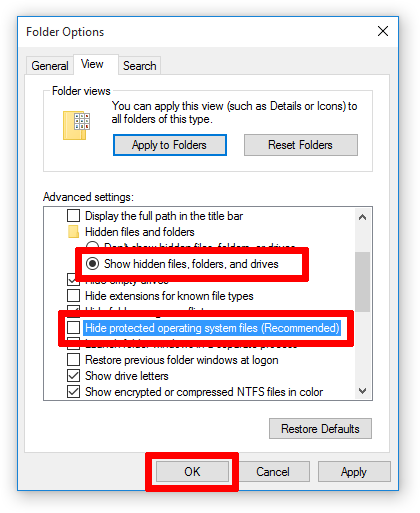 By default, Windows will not display these files and will not allow a user to select or copy them. You can change this behavior by following the steps below. Open Windows File Explorer. 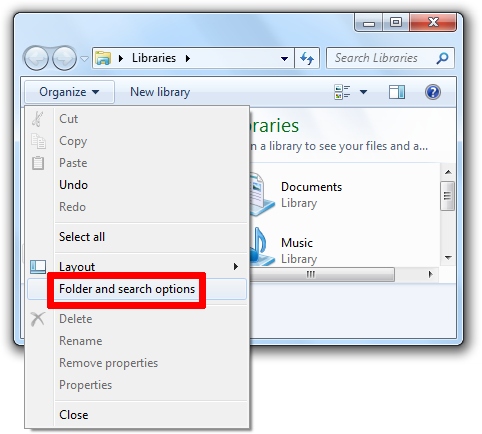 You can do this by double-clicking on any folder on your PC. In the dialog box that appears, select the View tab. 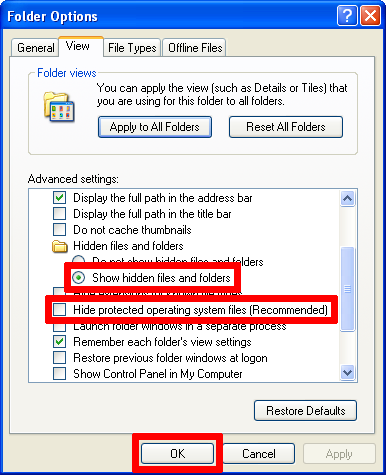 Select the radio button labeled Show hidden files and folders and uncheck the box labeled Hide protected operating system files (Recommended). Click OK.
You will be likely prompted by a warning asking if you are sure you want to display hidden operating system files. Click Yes. You can now copy the files from the CF card onto your PC. 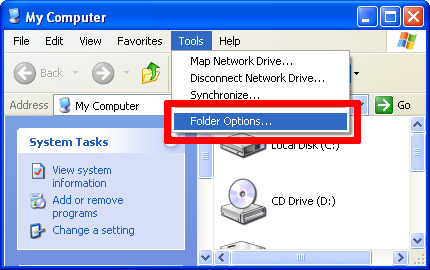 To do this, simply navigate to the CF card drive in Windows File Explorer, select all files, and drag them over to a directory on your PC. Be sure to store these in a safe backup location. 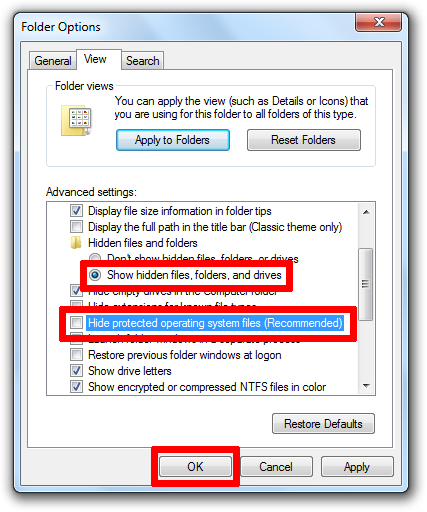 After you are done moving files over from the CF card, you may want to change your settings back to the way they were before to help prevent accidentally deleting important Windows system files. Under the View tab, select Options > Change folder and search options.